What do you know about Bosnia? Probably the war, probably a vague knowledge of its geographic position as “somewhere in Eastern Europe,” probably that it once was part of Yugoslavia, probably not much else. But did you know that this little-landlocked country isn’t landlocked? 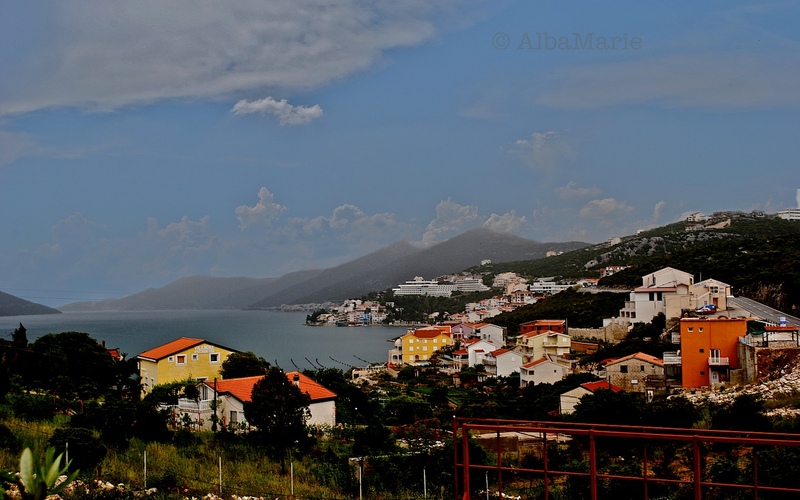 The town of Neum actually splits Croatia in two (anyone driving from Dubrovnik to Split must pass through it). It’s certainly true that, even just passing through, one can see the socioeconomic difference between these two Balkan countries; Croatia has a certain shine to it that Bosnia does not–but that doesn’t stop the view from being gorgeous! While Mostar is probably Bosnia’s crown jewel, it’s still exciting to pass through this small town and take a moment to remember all this little country has been through in recent years. While one day, I’d love to visit the beautiful Mostar and its famous bridge, for now, I can make due with Bosnia’s little slice of the Dalmatian Coast! 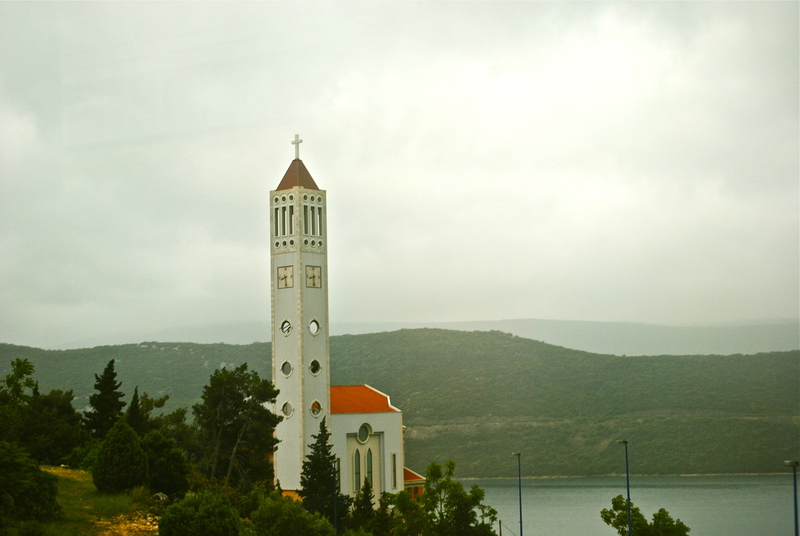 This is the “new” church of Neum, Bosnia’s only coastal town. Nuem splits Croatia right in two along the famously beautiful Dalmatian Coast. Bosnia, which was formally part of Yugoslavia alongside other nearby countries such as Croatia and Serbia, managed to hold on to roughly 25 km of coastline. While it has the same orange roofs as Croatia, it is sadly obvious that Croatia has more money and more tourists–and the bloody war from 1 March 1992 to 14 December 1995 in Bosnia didn’t exactly help. Because Croatians (and Croatian tourists) must go through Bosnia to get from Dubrovnik to Split, a bridge was proposed to bypass security checks (and cut down on the possibility of stowaways); however, the Pelješac Bridge could potentially violate Bosnia-Herzegovinian rights under the International Law of the Sea, so all plans have been suspended. Neum is a small town of 4,600 people, cheap prices attracting lots of Croatian shoppers – and one great view (even in this rainstorm! ).